Since drchrono now has over 70,000 medical professionals and millions of patients on its platform, CrowdMed’s reach is now dramatically expanded — and we couldn’t be more pleased. We hope to one day provide accurate, reliable crowdsourced medical answers to every patient in the world with an unresolved medical case. 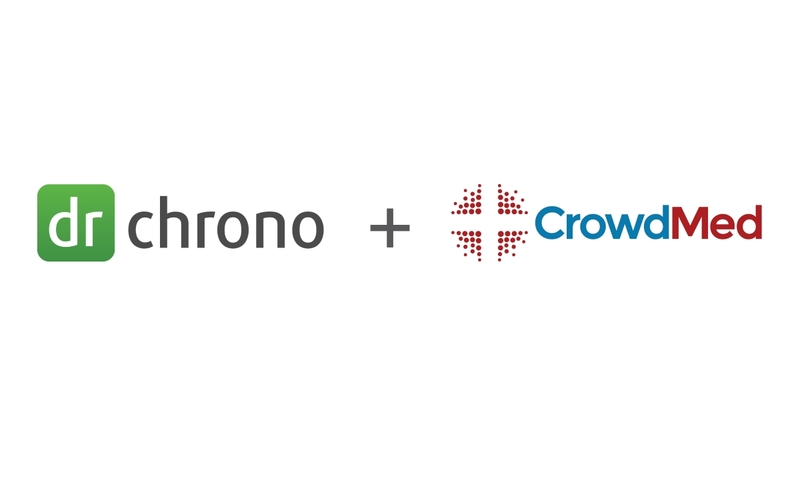 Our exciting new partnership with drchrono brings us one step closer to that goal. Check out our drchrono API integration today! drchrono creates the best EHR experience for physicians and their patients; the platform was built for iPad, iPhone, Apple Watch and cloud. drchrono has 87,000+ physician signed up and 5.5 million patients to date. They were the first to implement medical speech-to-text, real-time patient eligibility checks and iPad-based medical billing. drchrono is ranked by Inc. 500 as one of the fastest growing private companies in America, listed for two years in a row for 2014 and 2015. Silicon Valley Business Journal designated drchrono as one of the fastest growing private companies and was voted the #1 mobile Electronic Health Record 3 years in a row by Black Book Rankings.